No one in this post-Rudy Kurniawan, post-fake Chinese Lafite wine world can remain ignorant about wine fraud. After decades of more or less ignoring the problem, lately it’s been all hands on deck. Legal authorities are systematizing how to punish offenders. Engineers are devising clever systems for keeping track of new bottlings. And scientists are working out how to answer the central question for collectors: is this bottle I’m holding what it claims to be? It’s challenging to run tests on something enclosed in several millimeters of glass. Standard wine chemistry relies on opening the bottle, which makes it less than ideal for verifying the identity of a super-expensive one-of-a-kind auction item that might really be last year’s Kendall-Jackson merlot with an artfully distressed label. But scientists can do things like harvest bacteria from deep sea thermal vents and look very hard for dark matter miles under South Dakota. Surely the only thing separating us from a way to identify the contents of an unopened bottle is the realization that we should be trying. That moment of realization has happened, and now possible solutions are starting to show up. Most of them are okay but not perfect; they’ll say something about the wine, but not enough to verify that the contents match the label. Gamma radiation detectors can tell you whether a wine that’s supposed to be really old really is. Wine produced before 1945 when humans started sending atomic bomb fallout up into the air doesn’t contain the radioactive isotope cesium-137; wine made in 1945 or later does. Unfortunately, the method can’t get more precise than that because atmospheric cesium-137 levels bounce around too much to match a reading to a specific year. Magnetic resonance imaging, the same technology that physicians use to check out your back pain (and that researchers use to visualize what parts of your brain light up when you’re tasting wine), can detect acetic acid (vinegar) in the bottle. That can help you decide whether a bottle is in good condition, but doesn’t do much to verify authenticity. These all work by trying to get through the bottle, using some kind of ray or particle that can penetrate glass. But hold on a minute, people. What about trying to go through the cork? Yes, there’s the Coravin solution, using a fine needle to extract a small sample of wine without extracting the cork. But Coravin’s risks of occasional bottle fracture are more severe for older and possibly more fragile bottles, and in an ideal world, surely, we’d prefer not to touch the wine inside the bottle at all. Cork is valued for its breathability. Wine bottled under cork should be stored on its side so that wine moistens the cork and keeps it plump enough to maintain a good seal. And the ullage, the bit of airspace between the cork and the wine, increases as bottles age because wine evaporates through the cork. That means the cork contains some wine. Why don’t we use that? This sensible-sounding idea occurred to a group of researchers in an earth sciences department – they are, after all, accustomed to dating old things in places like that. 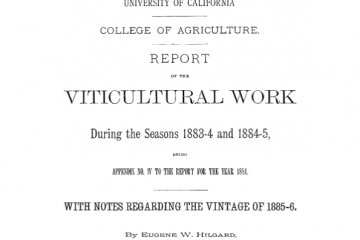 Applying a vacuum to the top of even well-preserved, tightly sealed corks for an hour or two gave them micrograms of wine vapors without damaging the cork or molesting the wine beneath it. Then they subjected those tiny samples to 14C radioisotope dating. The same technique used to benchmark archaeology artifacts works just as well on wine as it does on petrified wood or ancient papyri. The basic principle behind radioisotope dating is that radioactive isotopes (uncommon versions of common elements, found in very small amounts in the environment) decay into other particles at fixed rates: that ancient papyrus will contain half as much 14C as it originally did approximately 5,730 years after the papyrus plants used to make it grew up out of the fertile Egyptian soil. Plants pick 14C up out of the atmosphere, and animals pick them up from plants. Knowing how atmospheric 14C levels have fluctuated over time, archaeologists and earth scientists can date once-living things back for about 50 millennia. Which isn’t all that helpful for authenticating wine made in the past hundred years. The reason why 14C dating works well for artifacts of more recent vintage is that humans sent some big plumes of radioactive particles up into the air back in the middle of the 20th century. Above-ground nuclear weapons testing nearly doubled the amount of 14C in the atmosphere and made radioisotope dating practical for contemporary forensics as well as ancient archaeology: the massive amount of 14C released in those tests drops by half every 16 years, which makes it possible to match 14C counts to vintages. Applying radioisotope dating to wine itself isn’t a new idea, but it’s always required opening the bottle to retrieve a relatively large sample. Newer, more sensitive techniques can work with those tiny volumes these researchers can vacuum up out of the top of the cork. Caveat: it’s not perfect. Vacuuming works better on some corks than others. If any residues from pre-treatments remain in the cork, they’ll contaminate the wine sample and throw off measurements. Because these samples are so small, the effect of any contamination is large, which makes the whole procedure touchy. If the wine has been “retouched” at any point in its history – recorked and topped up with another vintage, for instance – all bets are off. Another problem is that the 14C “bomb pulse” from those atomic experiments is literally going to run out in about 15 years, at which point correlating 14C levels with a precise year will become much more difficult. With any luck, we’ll have come up with a different, better solution by then. But when it works (which this research suggests will be a lot of the time), radioisotopes can date the actual wine inside the bottle, enough to deal with most potential wine fraud. A less expensive wine could still be passed off as a more expensive one from the same year, though the same principle could be applied to other radioactive isotopes to help specify place of origin as well as year. 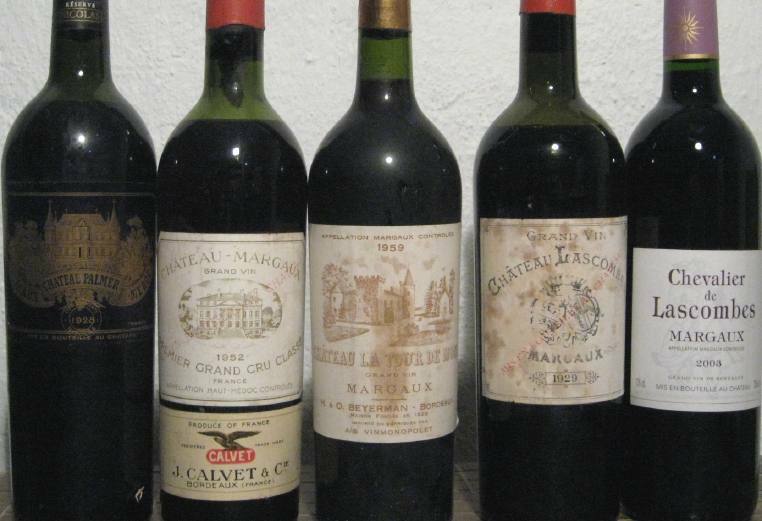 Combining multiple methods makes the number of wines a counterfeiter could exchange without detection increasingly small. And in case you’re wondering, artificially “doping” corks with a different wine than what’s in the bottle isn’t likely to help; deliberately soaked or injected corks “read” differently. The biggest challenge here may be psychological rather than technical. 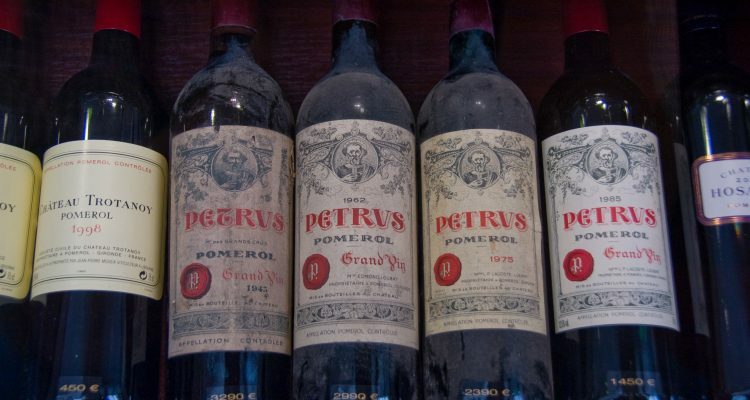 Scientists can dream up ingenious solutions all day that do absolutely nothing to prevent wine fraud if auction houses and investors can’t bother caring enough to use them. It’s true that this kind of testing is a lot of effort and expense for a single bottle. Radioisotope dating requires an accelerator mass spectrometer. These are big, expensive machines, though contract facilities can run samples for you for under $1000. Researching this piece, I learned that I can get a bit of liquid dated at a local facility for $539, though a very small sample would cost me extra. When the bottle in question claims to be worth ten or a hundred times more than that, and you’re the kind of fellow interested in buying it, maybe it’s worth it.